Often, power banks with big battery capacity are not cheap. Moreover, not everyone of them has a LiPo battery and USB-C port. Veger VP1056 is not one of them. The budget power bank to beat? 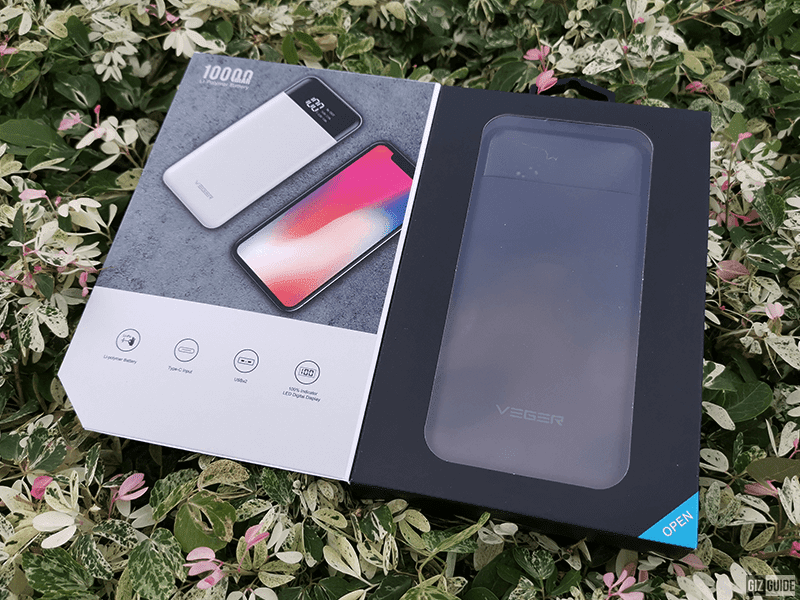 Veger VP1056 is a power bank with 10,000mAh big battery capacity and USB-C port for just PHP 1,000. It is even on sale right now for just PHP 445 only. Is this the ultra budget power bank to on-the-go to get? Let's see in this review if it is as good as it sounds on paper! Packaging is neat and simple yet rich in information. The box shows what the power bank looks like and it has all the specs that you may want to check. It even has a view window to see the actual product without opening the box. But, that's not really that important. What's inside is the real deal. Of course, you will find the power bank itself and a USB-A to micro USB short charging cable. It doesn't have a free pouch or case for protection though. It doesn't have a USB-C cable as well. But, it is fine. Remember, this is a budget power bank, not an expensive one. You can never have it all at this price point. The choice of materials is excellent for me. It uses sturdy plastic. I also like that it has a woven like texture that could add better grip. The black glass-like plastic material on top to protect the LED screen is prone to hairline scratches though. I still like plastic over metal for a power bank. My problem with metal power banks are they are heavy and could have sharp edges that could damage other devices. In terms of design, it is elegant and simple looking. 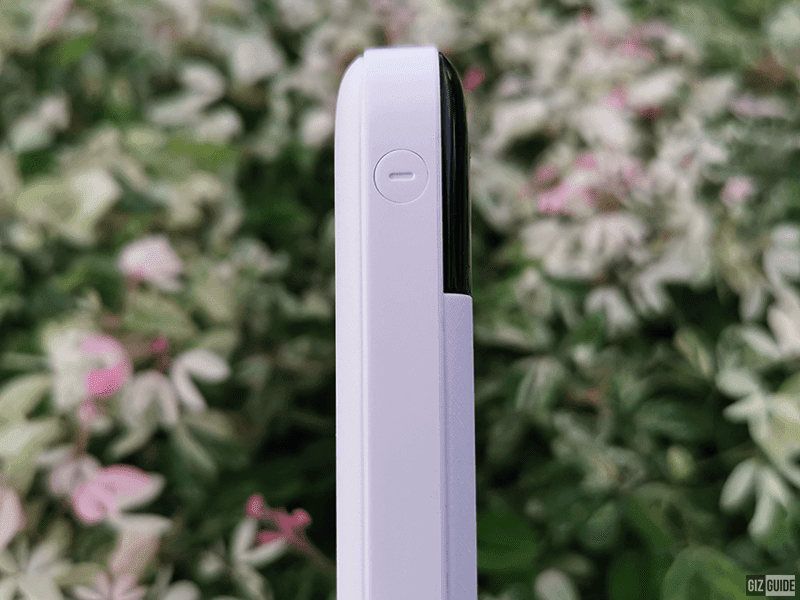 It will remind you of the panda Google Pixel 2 from afar. 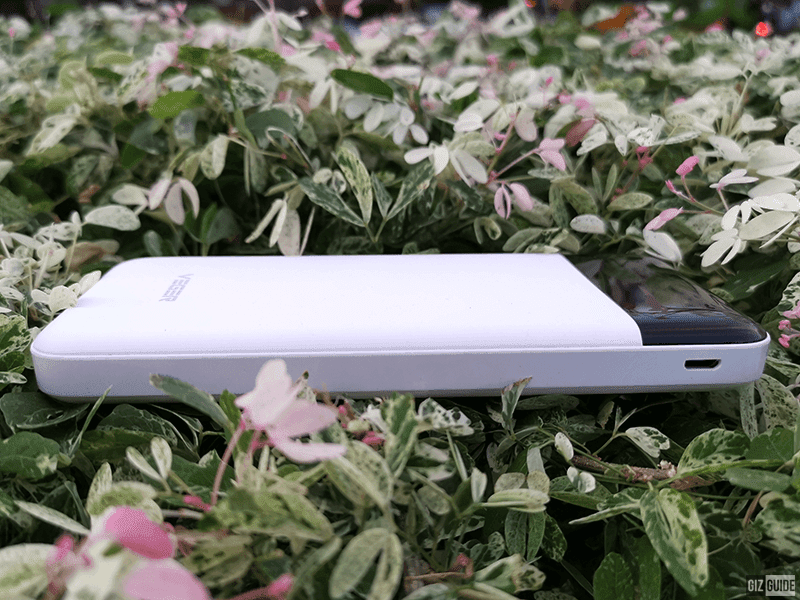 It is also considered as slim for a 10,000mAh power bank. 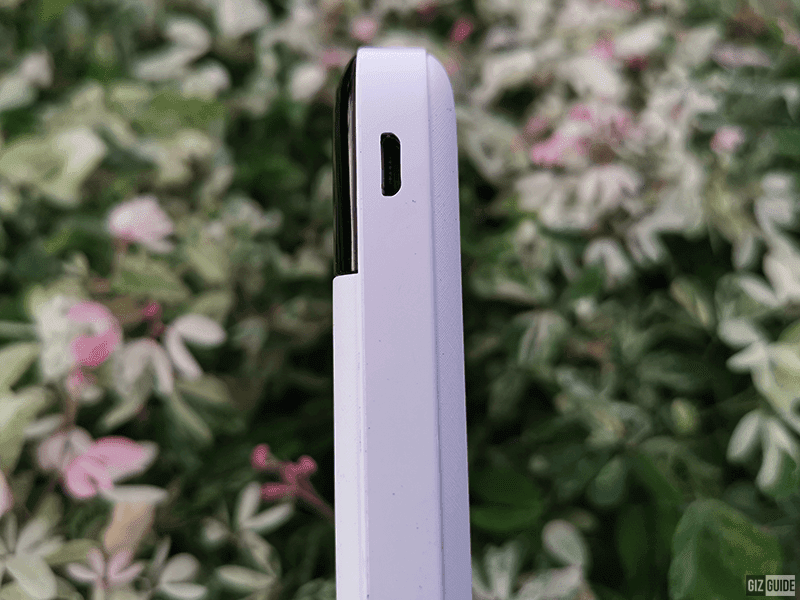 The power bank measures at 144 x 67 x 15 mm. It is a bit heftier than most smartphones at 228 grams. Grip feels good because of its texturized design. 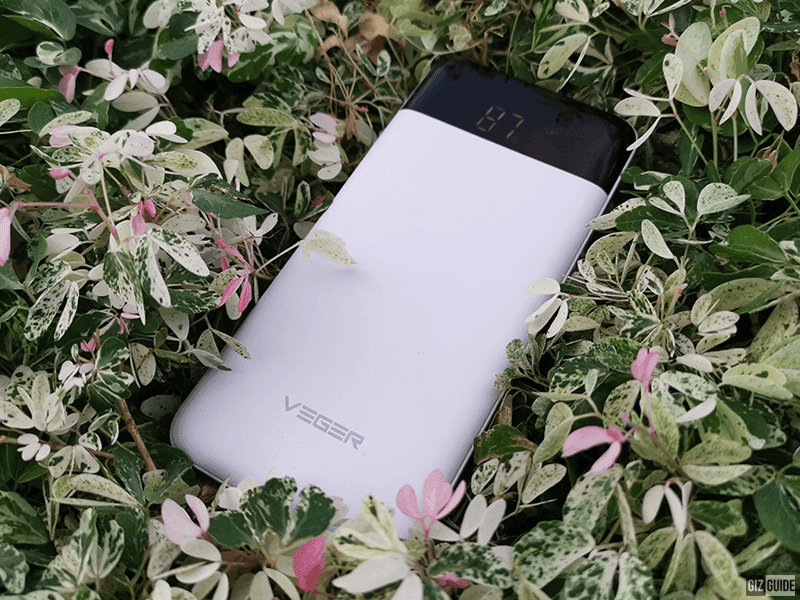 Despite the extra-affordable price tag, Veger VP1056 is a feature rich power bank. It has a black and white LED digital display that shows the battery capacity of the power bank, the output that the port can deliver. It can also show you if you are charging the power bank or not. It also have three output ports in total. It comes with two traditional USB-A ports with 1x 5V/1A or 1x 5V/2A output. It also has a USB-C 5V2A input port. 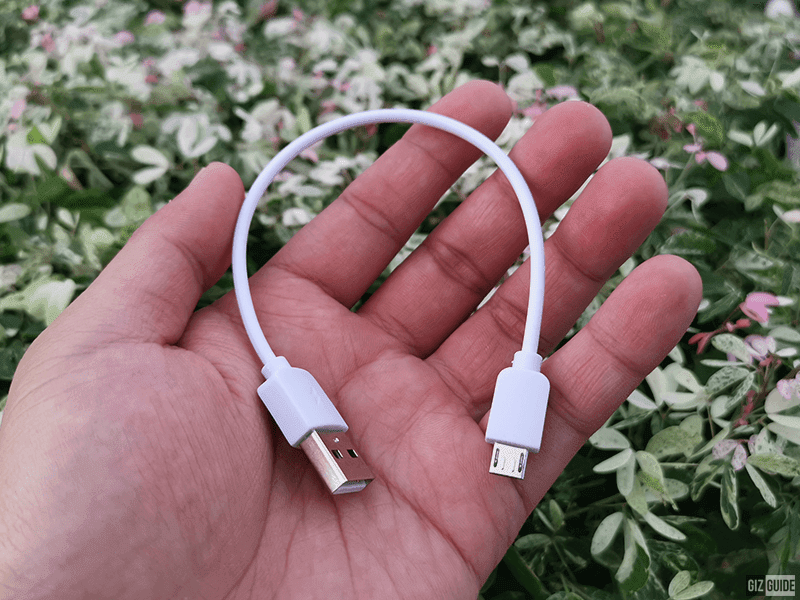 If you do not have a USB-C cable, you can always use a micro USB cable to charge the power bank. 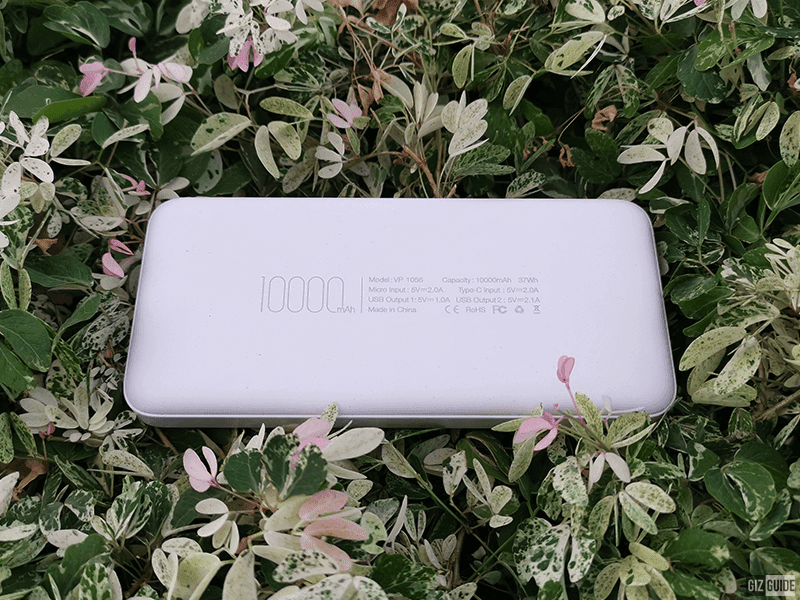 The 10,000mAh LiPo battery of the Veger VP1056 power bank can charge the iPhone XS for up to 3x and the Huawei Mate 20 Pro for 2.5x. Charging speed on the 5V/1A output is slow as expected. It will take you around 3 hours to fully charge your iPhone. Charging time with the 5V/2A output will be much faster. You will need around 4.5 hours to fully charge its 10,000mAh juice. You can charge two phones at once! 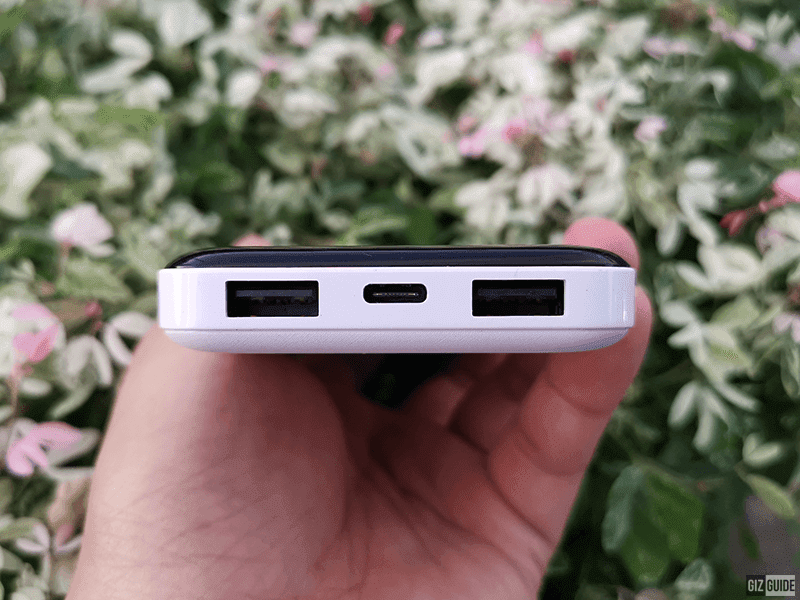 It doesn't have the fast charging solution from more expensive power banks like the Huawei FCP, SuperCharge, VOOC, Qualcomm Quick Charge, and more. 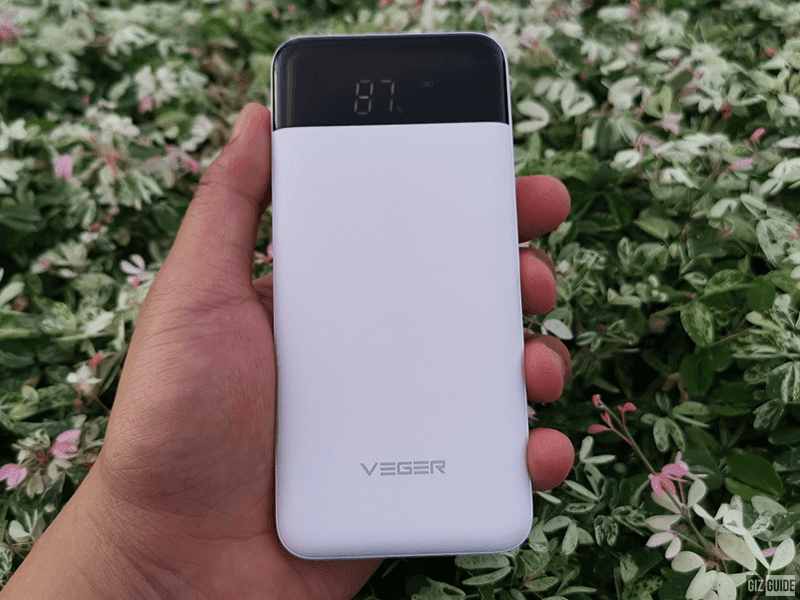 Veger also added a lot of charging protection tech to protect the power bank from overcurrent, overvoltage, short circuit, input anti-reverse, and overcharge/overdischarge protection. VEGER VP1056 is priced at PHP 455 at Lazada Philippines!